Nichols, Aidan. Reason with Piety: Garrigou-Lagrange in the Service of Catholic Thought. Ave Maria: Sapientia, 2008. Peddicord, Richard. The Sacred Monster of Thomism: An Introduction to the Life and Legacy of Réginald Garrigou-Lagrange, O.P. South Bend: St. Augustine’s, 2005. 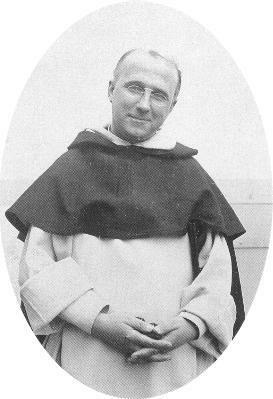 Garrigou-Lagrange, Reginald. Christ the Savior: A Commentary on the Third Part of St. Thomas’ Theological Summa. St. Louis: Herder, 1957. _____. Life Everlasting. St. Louis: Herder, 1956. _____. Providence. St. Louis: Herder, 1941. _____. Reality: A Synthesis of Thomistic Thought. St. Louis: Herder, 1950. _____. The Three Ways of the Spiritual Life. Westminster: Newman, 1955. _____. The Trinity and God the Creator. St. Louis: Herder, 1952.